Clear your craft drawer immediately! 1. 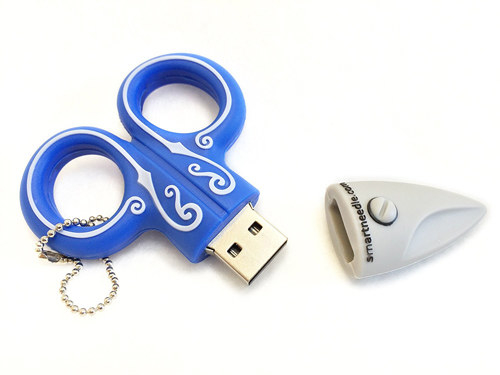 A scissors jump drive to quickly access scanned photos or layout ideas. 2. A pack of pretty neon colored pencils. Get a 10-pack from Urban Outfitters for $14.95. 3. A magnetic holder to help keep track of your dies or even metal crafting tools like pens and quill tips. Get it from Scrapbook.com for $12. 4. 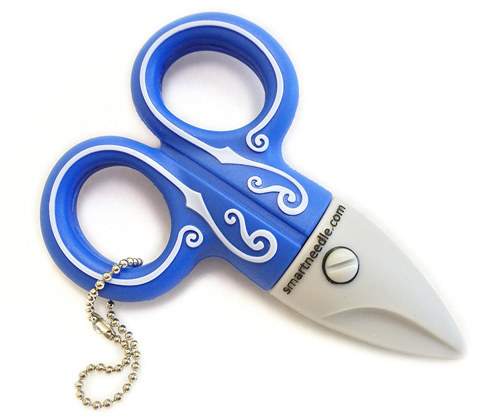 A Tool n' One to complete numerous crafting tasks, including removing excess paper from cutouts and piercing holes in paper. 5. A crafting bag to hold all of your goodies. Get it from Amazon for $68.84. 6. And a coordinating shoulder bag for the days you need to carry just a few of your crafting items. Get it from Amazon for $24.16. 7. 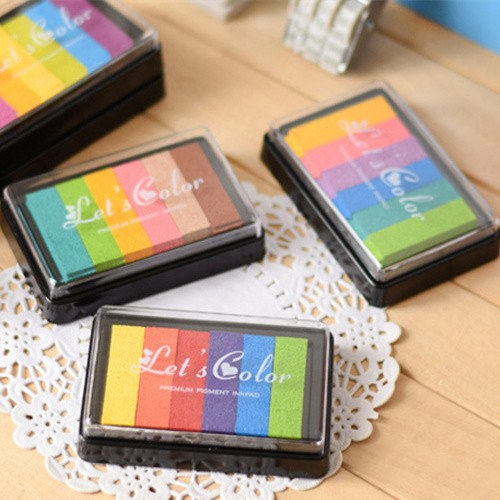 A gradient color ink pad to make your stamps really stand out. Get it from Orna Menta Design on Etsy for $5. Available in four colors. 8. A set of gold foil stickers to decorate pages. Get them from Amazon for $8.34. 9. 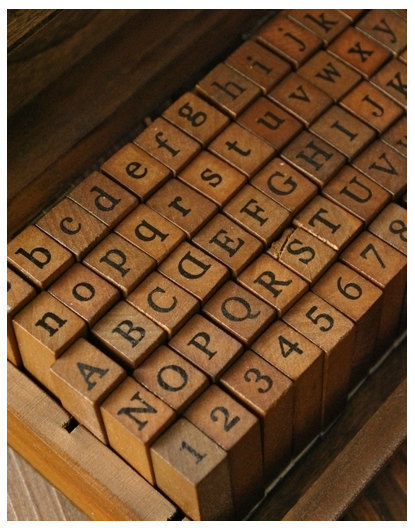 A 70-piece set of vintage letter rubber stamps. Get the set from Mieryaw on Etsy for $15.80. 10. 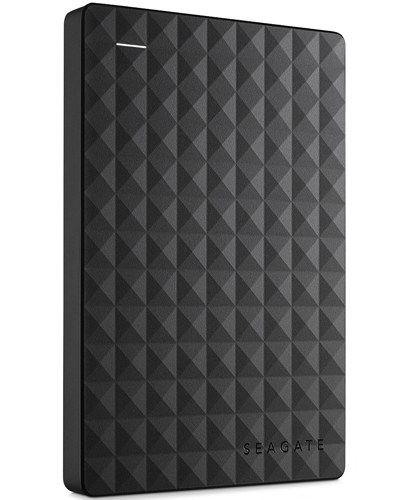 A Seagate external hard drive to back up your photos and other digital elements you use for scrapbooking. 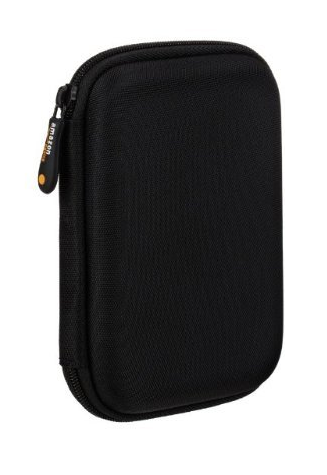 The hard drive has 1TB of space and includes a carrying case. Get it from Amazon for $61.48. 11. 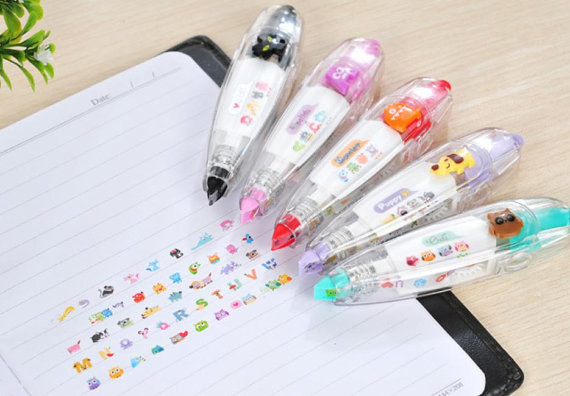 An animal sticker tape pen. Get it from Stickers Kingdom on Etsy for $2.69+. Available in five patterns. 12. A mat to protect surfaces from cutting and other crafting tasks. 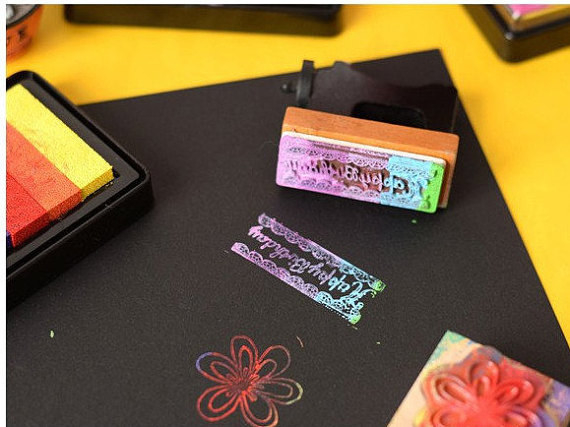 The mat has one side that is made of soft foam — which can be used for brushing paper off of dies and stamping. And the other side has a safe-healing surface that will come in handy when using tools that may scratch or pierce other surfaces. 13. A drawer organizer you can personalize with your own labels. Get it from Wayfair for $28.99. 14. 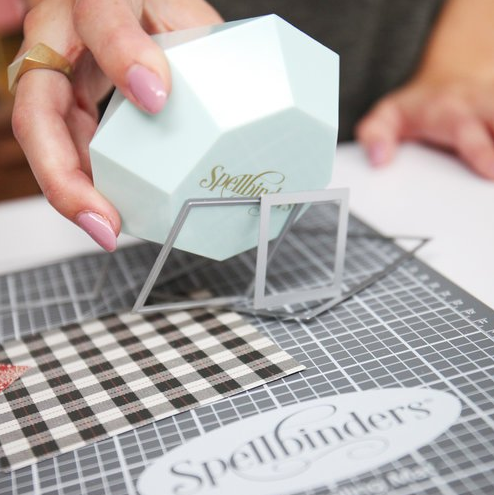 A storage box that can hold paper, writing tools or other craft items. 15. A pair of nature-themed washi tapes. Get a set of two from Happy Memory on Etsy for $2.85. 16. 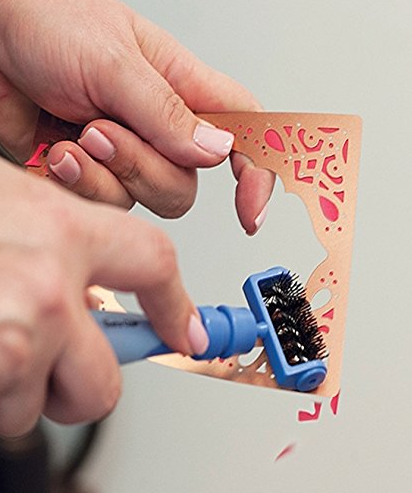 A flower lace edge punch set to dress up the pages of your book. 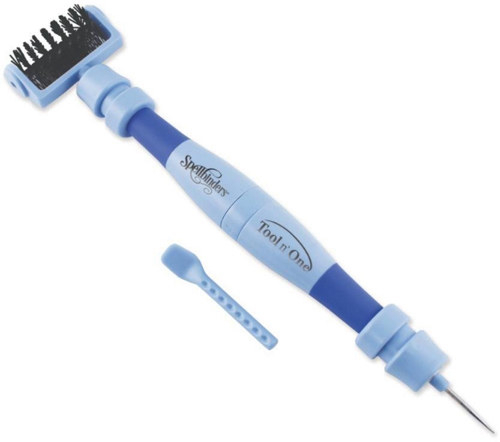 The set includes one large edge punch and one large corner punch. Get the set from Amazon for $22.39. 17. 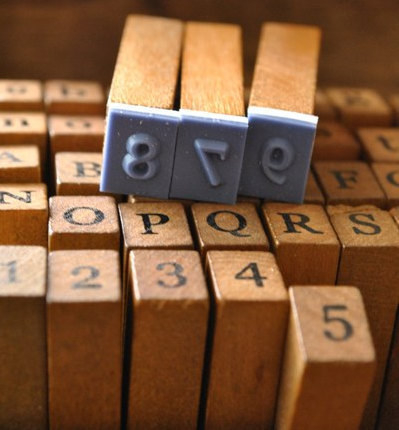 A set of handmade stamps. Get a set of 6 from Brown Pigeon on Etsy for $65. 18. 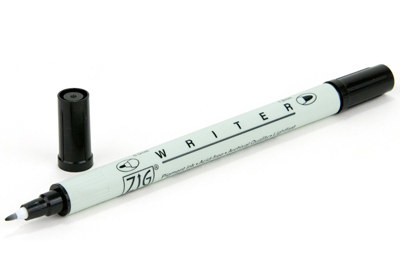 A pack of white gel pens for writing on black, navy or other dark shades of card stock. Get a three-pack from Amazon for $3.59. 19. A 100-pack of card stock. The pack of 12x12 paper contains five sheets of the 20 colors included. 20. A pack of adhesive tape so you will always have backups. Get a pack of three from Amazon for $7.19. 21. 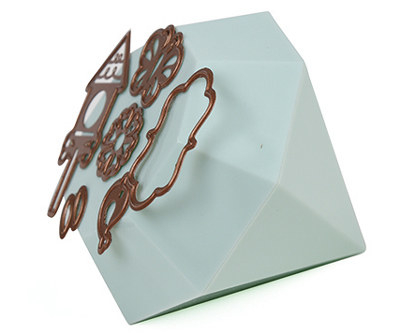 A 5-slot desk organizer to hold pens, glue sticks and other scrapbooking necessities. 22. A scrapbook with a ribbon trim. The scrapbook’s pages are 12x12. Get it from Amazon for $17.99. Available in four colors. 23. A pack of paper photo corner stickers. Get a 24-pack from Wow Thatz Cool on Etsy for $1.24. Available in three colors. 24. A folding ruler for tracing and placing items or cutting 90 degree angles. 25. 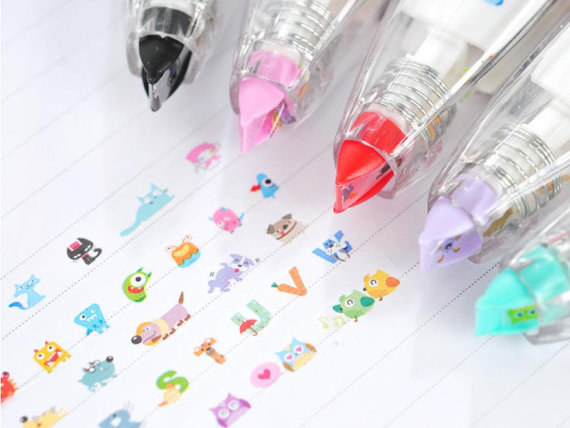 A pack of colorful gel pens for any text or drawings you add to your pages. Get a 12-pack from Urban Outfitters for $16. 26. A scanner to make duplicates of fragile old photos or to share your finished scrapbook pages with your family and friends online. 27. A pair of gold crafting scissors. Get them from Anastasia Marie Shop on Etsy for $15. 28. A dual tip EK Tools black pen for making headers, lines and other designs on your scrapbook’s pages. The pen features 1.2mm and 0.5mm tips. 29. A washi tape organizer that will cut your strips and keep your tape rolls in order. 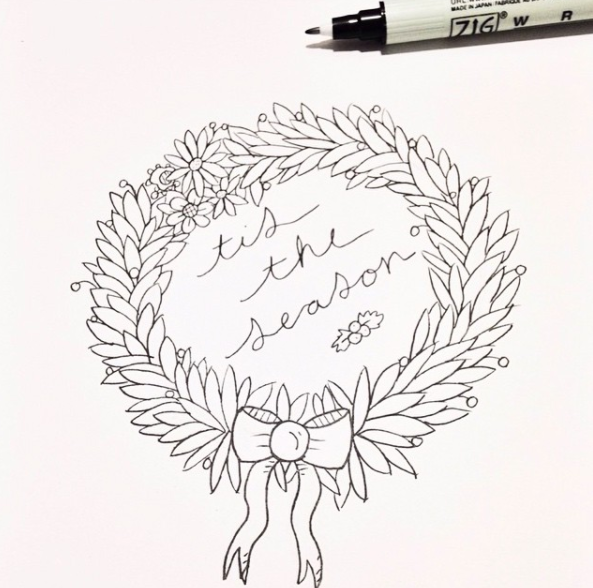 Get it from Charm Tape on Etsy for $5.95. 30. 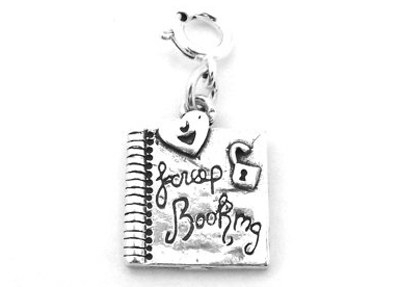 And a bracelet charm and pair of craft mug earrings that will let you show off your love for scrapbooking in style. Get the bracelet charm from Gold Chest Jewelry on Etsy for $21.49. 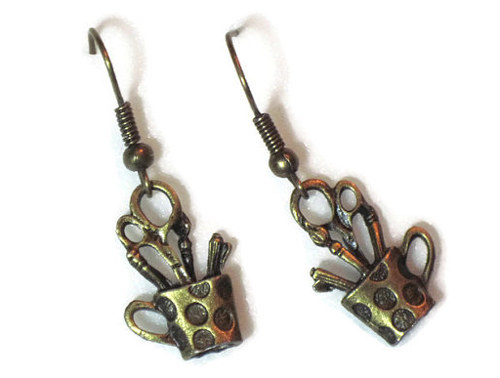 Get the earrings from Oodles of Whimsy on Etsy for $8.